With this we'll have the pi directory on another computer, no matter if it is on the local network or in the cloud. If we want to unmount it before turning the Pi off: fusermount -u /dir_local (Following the example: fusermount -u /home/ubuntu/rpi). Remote Login. Click to enlarge. 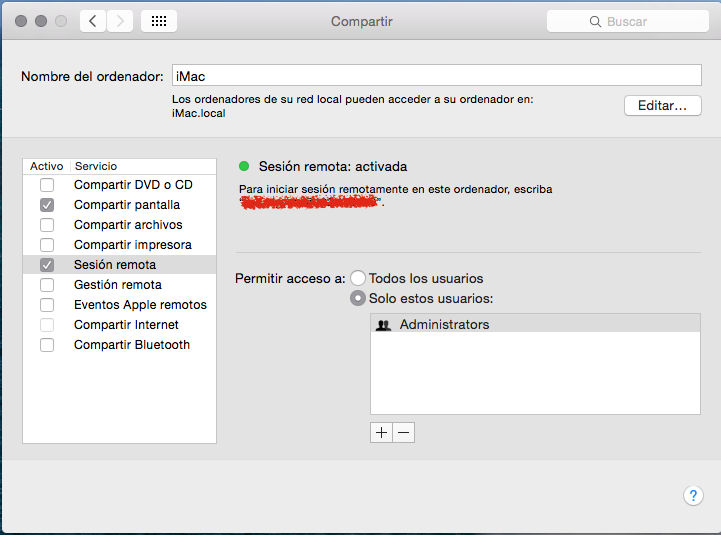 If you want to share a folder from OSX, the last steps must be executed from the Pi, but first you must to enable remote login through Apple menu > System Preferences > Sharing > Select Remote Login.